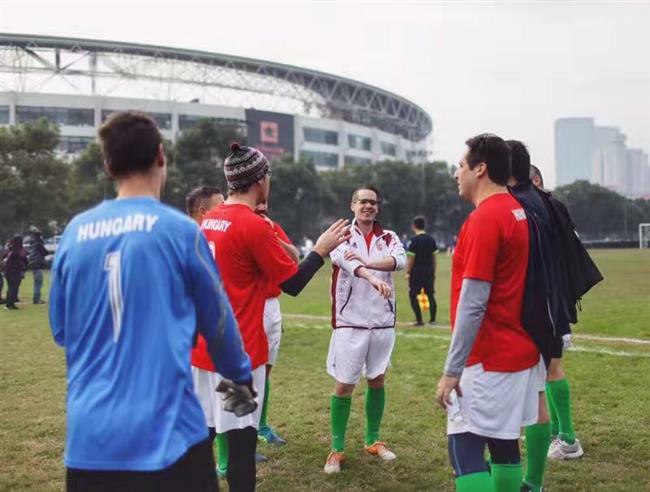 Having lived in Shanghai for 12 years, Fudan University postgraduate Levente Horvath has his contributions to make in enhancing the communication between China and Hungary. 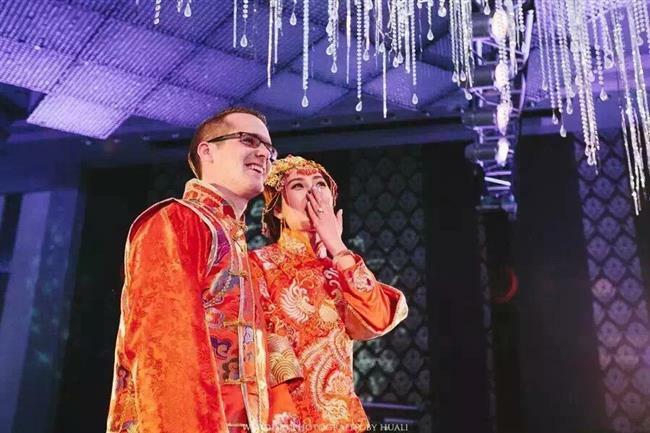 Fudan University alumni Levente Horvath has lived in Shanghai for 12 years and made important contributions in cultural, educational and economic relations between China and his native Hungary. Horvath went to Fudan University for undergraduate and postgraduate courses from 2008 to 2015. Tourism management was his major. He became the consul general for Hungary in Shanghai after graduation, and is currently director of National Bank of Hungary’s education department. 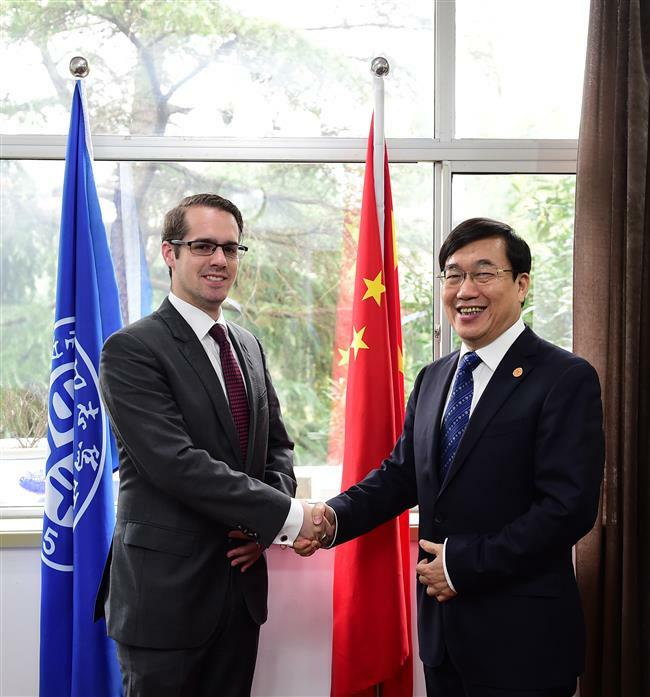 As the vice president of Fudan University’s alumni association, Horvath is working on an MBA program jointly established by Fudan University, National Bank of Hungary and Corvinus University of Budapest. The program, which starts in February, will bring together company leaders and government officials from China and 16 countries in Central and Eastern Europe. Horvath said he was fascinated by Chinese culture during childhood, and looked forward to visiting the country. Horvath (left) shakes hand with Fudan University President Xu Ningsheng. In 2005, Horvath applied for a high school exchange program scholarship, and got the chance to study for a year in Nanjing, Jiangsu Province. Two years later, Horvath came back to China and studied at Fudan. Horvath said there were not many Hungarian in Shanghai, and he was the only Hungarian student in Fudan during his early days there. Horvath did internships at the Hungary Consulate and the Ministry of Foreign Affairs starting in 2012. 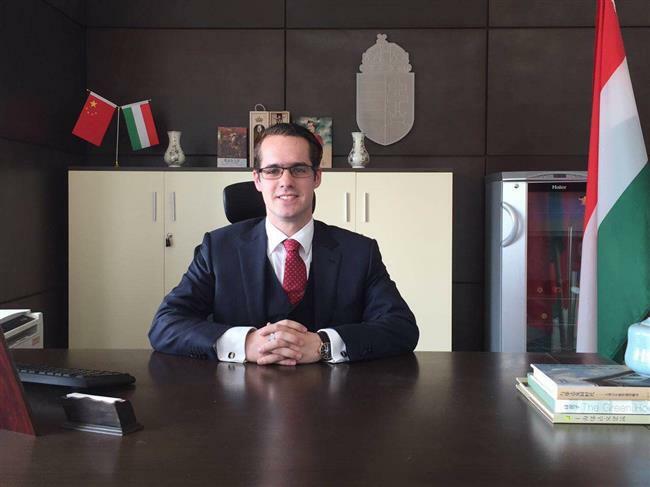 He graduated from Fudan in 2015 and became the consul general of the Hungary Consulate in Shanghai. Horvath is also promoting his country as a tourism destination for Chinese travellers. He has been working with the consulate to discuss with China Eastern Airline about opening direct flights between Shanghai and Hungary next year. Horvath took part in organization of football-themed activities. Horvath’s Chinese wife was his postgraduate schoolmate, but majored in Chinese language and literature. The couple is expecting for their first baby this month. Horvath's Chinese wife was his postgruaduate schoolmate.